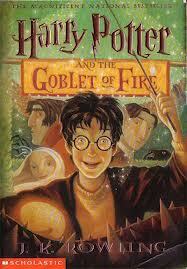 Well, here it is, the concluding chapter to my series on the Christian themes I’ve discovered within Harry Potter. This final book was split into two parts when the movies caught up with the books, beginning what I feel is an unfortunate trend. Now the Twilight movie adaptations and the Hobbit adaptation has also gone this route (three movies for the Hobbit, in fact), and it’s been rumored that the currently unfinished Hunger Games adaptations will continue the trend when the Mockingjay movie is filmed. I realize that I have probably not changed the minds of many of my readers. I still defend these books and do not feel that they are garbage nor evil. They promote good values like honesty, cleverness, and loyalty. We now come to the second-to-last book in the series. For many Potter fans, including myself, this one was a whopper. 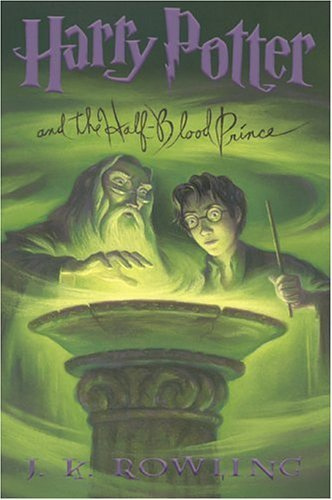 The first item I want to talk about concerns Harry discovering a book that inscribed “Property of the Half-Blood Prince”. Hermione is rightly concerned about the book. After all, the last time they found a mysterious book, it possessed Ginny with a remnant of Voldemort. If that weren’t enough, the book seems to have dark secrets in it. But Harry seems to give it up, because it’s been helping him in Snape’s class. 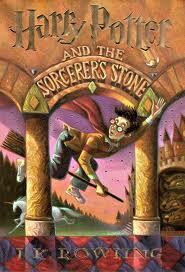 In this book, Snape has finally achieved his dream–he is now the new Defense Against the Dark Arts instructor. We also discover that he is a double agent, working for both Dumbledore and Voldemort. Hermione actually has the right idea–we should never trust anything that seems to go against our conscience. We finally learn Voldemort’s childhood. He was the son of a witch and a Muggle. His mother continuously gave his father love potions to keep their marriage alive, meaning that it actually was not built on love. When they had a child, Tom Riddle (Voldemort’s real name), his mother thought that would mean the love would come naturally and stopped using the potion. Sadly, it never did, and only hatred came instead. Tom was later found by Dumbledore in an orphanage. He never forgave Muggles for the way his father treated him. This is another of the contentions I have against the claims that Harry Potter is evil: The idea that children need love to survive is a basic teaching of Christianity. Harry is strengthened by the relationships he shares with his friends. Perhaps the best example is Ron’s mother. Ron has a huge family, yet his mother treats Harry as if he were a long-lost son and becomes a sort of surrogate mother to the boy. And considering the actual surrogate family Harry has, that’s a good thing. I have often doubted that those who oppose Harry Potter books have even read the books critically or at least with an open mind. 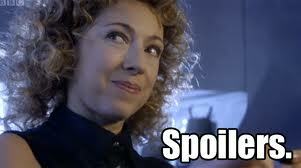 And finally, we have Dumbledore’s death. Looking back, I guess this was necessary. In many quest-based stories, the mentor has to die so that the hero can own the story: Star Wars, The Lion King, and numerous others often has this moment. Without it, Harry is not forced to continue. Now the deck is stacked even greater, as he has one less ally to rely on. Delores Umbridge is one of the best villains ever. What I like most about her is how tyrannical she is. She’s fully convinced that she knows what’s best. She deliberately abandons actually teaching defense against black magic, mostly because she’s looking to stop “Dumbledore’s army.” She’s downright creepy, especially in the scene where she makes Harry write lines for misbehaving, and it literally burns itself into his arm. Even Hermione, who’s always a stickler for the rules, rightly decides that this is one time breaking the rules is warranted. One of the complaints I’ve heard against Harry Potter is that there are many instances where Harry Potter and his friends break the rules. I feel that this should not be a complaint because there are certainly times where breaking rules is warranted. There are many unjust laws that must be challenged, and that was the point of Jesus turning over the tables when he saw the money changers. Luna Lovegood is another great character I can talk about from a spiritual point of view. She has the ability to see thestrals, despite the fact that you cannot see them under normal circumstances. One of my favorite lines from Shakespeare’s Hamlet is “There are more things in heaven than dreamt of in your philosophy.” I like to use this quote as evidence for a Creator. In her way, Luna illustrates this because she can see things others usually cannot. She shows us that we must perceive things not only with our senses, but our hearts. The government in the Harry Potter has now turned against him. This is because Cornelius Fudge believes Dumbledore is creating an army to oppose him (he actually is creating an army, but against Voldemort). They also wish to sweep Voldemort under the rug and pretend he’s still dead. They’re content to just stick their heads in the sand. This is a dangerous notion because it puts everyone in more danger. Harry quickly realizes he is now on his own. This is another good book in the series and I like the lessons it teaches. They are certainly worth passing on. The Chamber of Secrets is actually one of my favorite books in the series. We get a glimpse into Voldemort’s childhood. Ginny Weasley, who made an early-bird cameo in Sorcerer’s Stone, becomes a full-fledged character. We also meet three new characters: Gilderoy Lockheart, Lucius Malfoy (Draco’s father) and his House-elf, Dobby. We love Dobby. The Basilisk is an interesting creature. In folklore, the basilisk is the king of the serpents. They can be killed, but there’s a catch–if you look directly at it, you’re turned to stone. Thanks to the basilisk, we learn Harry Potter can speak parseltongue. When the basilisk begins petrifying people, everyone immediately begins to suspect Harry is controlling it because he hates his “muggle” (read: non-magic users) family and their suspicions are confirmed when they discover his secret. This secret also is one of the reasons the anti-Harry Potter crowd used in their claims that the books are demonic. But consider this: if Harry talking to a snake is demonic, then half the human population is evil–Eve also talked to a snake. No, I think we can glean something else. Parseltongue is a talent. The Sorting Hat even tells Harry that this talent almost made it consider putting him in Slytherin instead of Gryffindor. In the gospels, Jesus relates a parable about three stewards given talents by their masters. (Matt 25:14-30) In Biblical times, talents were a unit of currency rather than a skill. If you were a steward in Jesus’s time, it would take you at least fifteen years to earn just one talent. In the parable, one steward gets five talents, another two, and the last only gets one. The steward who received five talents invested them and gets five more. The steward who receives two talents also invested them and got two more. But the one who only got one talent held on to it selfishly, and was punished by having to give it to the steward who now had ten talents. To put this into modern-day perspective, imagine that they were each given thousands of dollars. Now do you see why the person had only one talent was treated so harshly? I believe what Rowling is trying to show the reader is that your actual talents doesn’t matter–what matters is how the talent is used. Voldemort used his talent to kill students born of muggle parents. Harry however, uses his talent confuses the basilisk and saves everyone. Dobby the House-elf is one of my favorite characters, but he didn’t start out that way. His constant efforts to “save” Harry Potter from Voldemort and Lucius really did more harm than good. So why do I like him? Because when Harry frees Dobby, Dobby stands between him and Lucius. Lucius is too dumbfounded to react. As a final point, there’s Gilderoy Lockheart, the new Defense against the Dark Arts teacher. Throughout the book, we hear him talk endlessly about the grand things he’s done. But Harry, Ron, and Severus Snape doubt him. When he quizzes pupils about his books, it’s always about inconsequential things like his favorite color or his favorite sweets. We later learn that Lockheart has actually taken credit for the works others have done. This is a violation of the Tenth Commandment, against bearing false witness. After re-reading this book for this post, I have to say this: I am SO glad we only had to put up with him for this book. If there were 5 more books with him, I don’t know if I would’ve been able to take it. 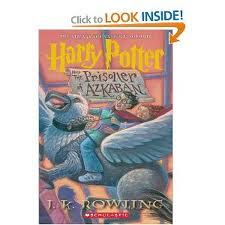 Our next part will deal with another one of my favorite books in the series, The Prisoner of Azkaban. Well, I’m going to do something different. Welcome to this project. 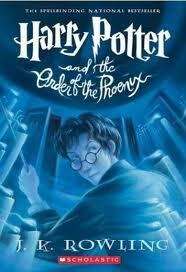 I am going to analyze Harry Potter and show you just how Christian I think it actually is. “I believe in God, not magic.” In fact, Rowling initially was afraid that if people were aware of her Christian faith, she would give away too much of what’s coming in the series. “If I talk too freely about that,” she told a Canadian reporter, “I think the intelligent reader – whether ten [years old] or sixty – will be able to guess what is coming in the books” (Michael Nelson, “Fantasia: The Gospel According to C.S. Lewis”, The American Prospect, vol. 13, no. 4, February 25, 2002) Besides, witchcraft in Harry Potter is hardly even similar to real life Wiccans. No real Wiccan goes around flying on broomsticks, playing Quidditch, or casting spells. In reality, the magic in these books is more like what you see in C.S. Lewis’s Narnia or your average Grimm’s Fairy Tale. I think the main problem is, when people think of Christian fiction, they think of books about the Amish or similarly boring stuff. (my opinion of the Amish books may differ from yours) They don’t realize that writers like Flannery O’Connor and Graham Greene didn’t write anything like what Wanda Brunsetter or Beverly Lewis write. (and in my opinion, O’ Connor and Greene’s books are way more interesting.) Oh, and those of you who say C.S. Lewis or Tolkien are good alternatives, they don’t even mention or quote the Bible in their fiction books (Lewis saved that for his nonfiction). Where is it written in Christian doctrine that you must only write “Christian” media if you are a writer? So, is there Christianity in Harry Potter? Yes, most definitely. Right in the first chapter of The Sorcerer’s Stone, we’re told his parents sacrificed themselves when Voldemort killed them. According to Jesus, this is the greatest love–to lay down your life for those you love. In addition, there is Dumbledore, one of my favorite characters. What I like about him is his eccentric personality and courage. Everyone else in the books won’t even refer to Voldemort by name. Instead they call him “You-Know-Who.” Dumbledore won’t stand for any of that. He wants to show Voldemort that he is not afraid of him, so he defiantly says his name. How does this coincide with Christianity? We’re supposed to be fearless against evil. In fact, Satan’s already lost! In Genesis, God tells Satan that Eve’s offspring (foreshadowing Jesus) will crush his head (Gen 3:16). Furthermore, in Paul’s letter to the Philippians, we learn that even Satan has to kneel before God. For my final item, one of my all-time favorite moments is when Harry Potter discovers the Mirror of Esired. The Mirror shows whoever looks into it their deepest desire. Ron Weasley sees himself winning the Quidditch cup, and Harry sees himself reunited with his dead parents. Dumbledore advises him to give up on the mirror, lest his desires drive him mad. In Christianity, we believe that giving into our desires rather than God’s distracts you from His purpose. I think this is Rowling’s way of showing how wrong being selfish is. These are only for book 1. 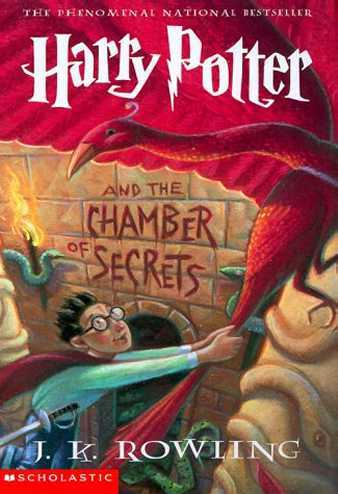 Next month, I will cover The Chamber of Secrets.